PDF-to-Word-Free can convert PDF files (include Scanned and Encrypted PDF) to word quickly and efficiently with the original text, images, graphics, and hyperlinks greatly preserved. After the conversion, you’ll see the output Word documents look exactly the same with the original PDF files. Use OCR (Optical Character Recognition) to convert PDFs to word. Precisely preserve the original PDF texts, layouts, images, graphics, tables, hyperlinks in the output Word documents. 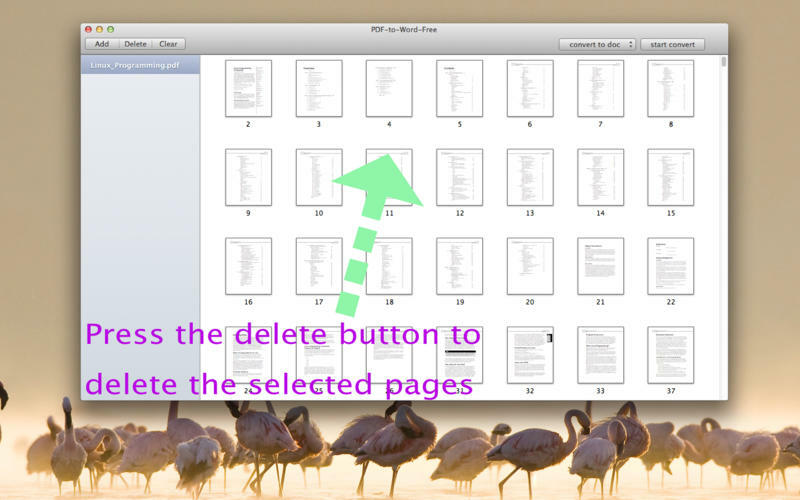 The interface is quite simple.Only in 3 steps, you can successfully convert PDF to Word. Support drag-and-drop operation. You can add remove, or change the order for conversion by dragging and dropping. For PDF files that are protected from copying, editing and printing by Owner Password, PDF-to-Word-Free can convert them to word directly. PDF-to-Word-Free is a standalone program for PDF to Word. It does not require Microsoft Word, Adobe Acrobat, or Acrobat Reader for installation. Attraction App, Self Hypnosis & Subliminal.